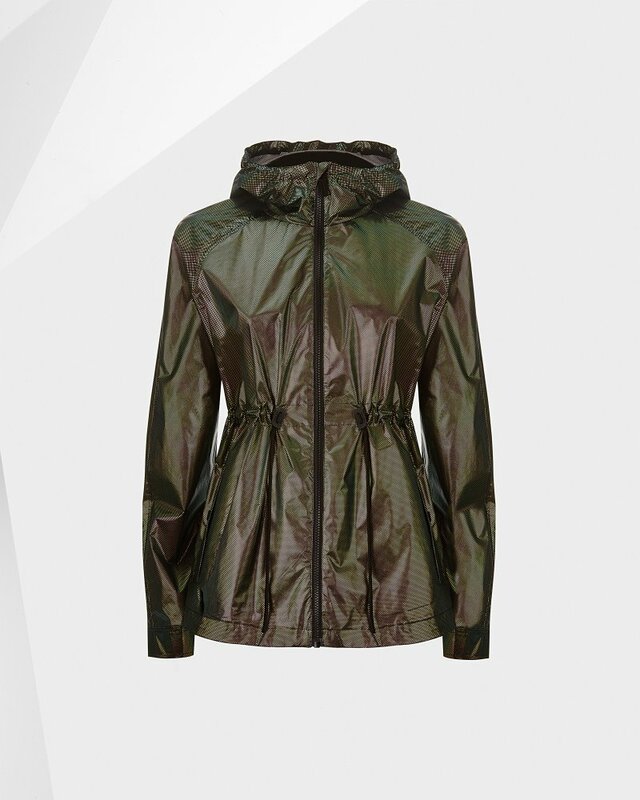 Soft, water-resistant and easily foldable, the Original Packable Jacket is crafted from waterproof metallic fabric and can be folded into its front pocket to create a small zip bag. Part of the Hunter Original festival collection. Machine wash cold. Wash with similar colours. Cool iron.